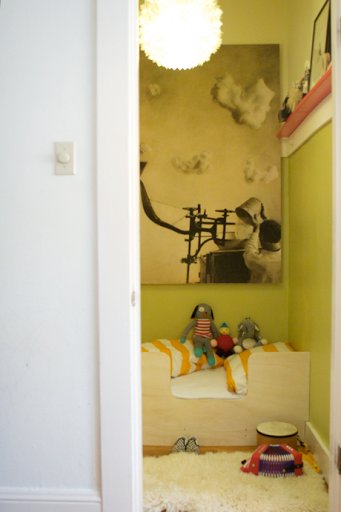 This kid’s bedroom is in a closet! And it’s awesome! I love the colorful styling and simple, ever-so-cute toys. See more of the details here. Next > I’ll do it soon.